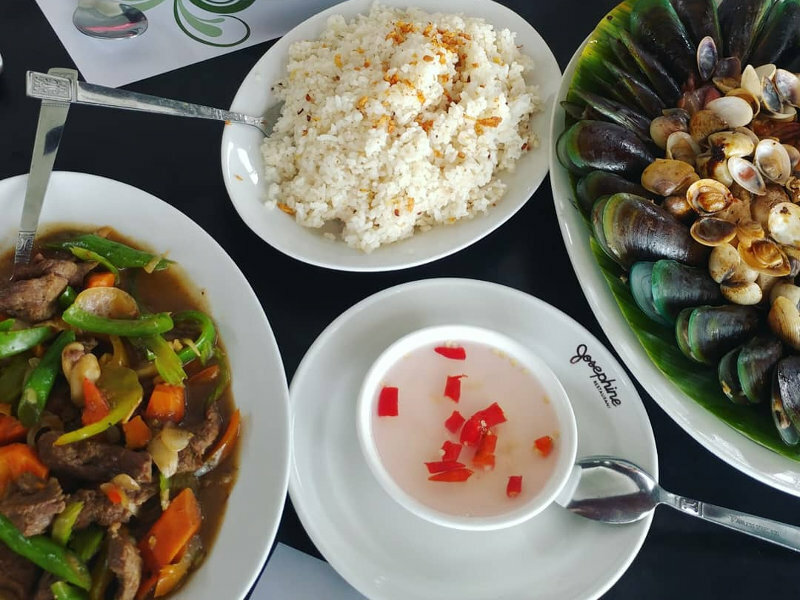 Long days relaxing on the beach, taking a boat out to sea and swimming with whales and enjoying exotic food at quaint little restaurants, this is all that you can expect and more from a visit to the Philippines! 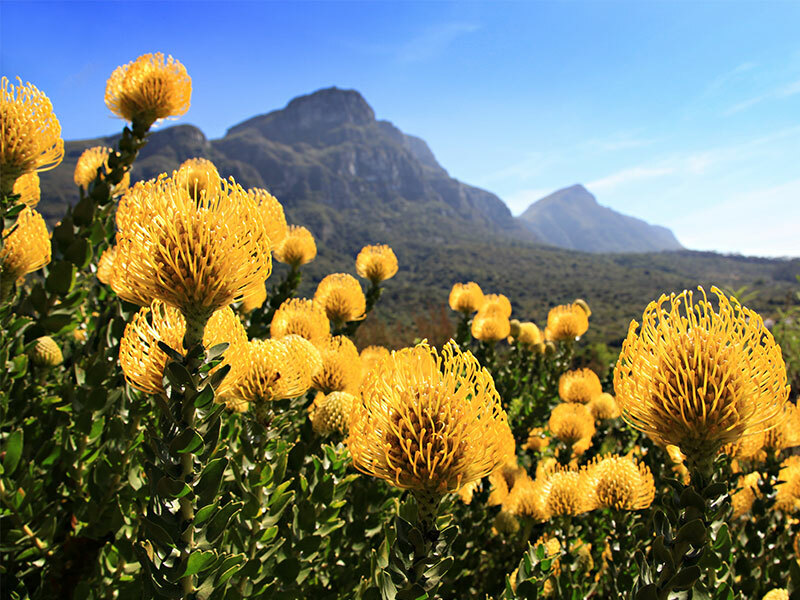 The country sees wonderfully warm temperatures all year long, making it an ideal location at any time of your preference. 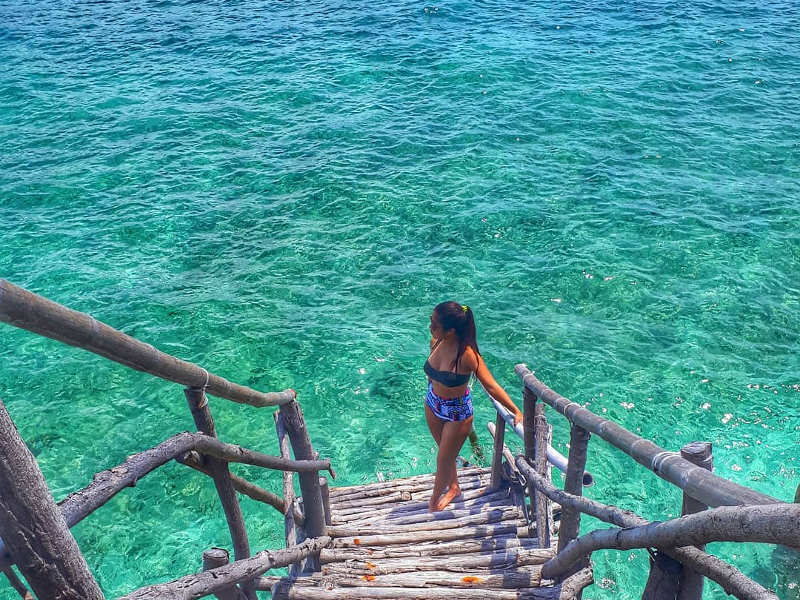 The Philippines is your ideal location which is great for shopping and enjoying the exotic nightlife scene in Manila, enjoying a yacht cruise and snorkelling in Cebu and exploring the white beaches of Boracay Island. 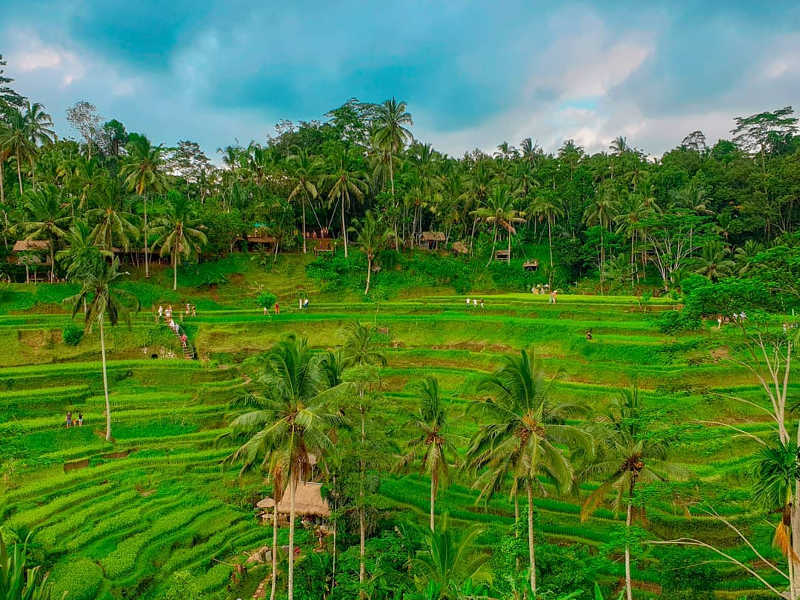 The Philippines is well known for not only its number of gorgeous beaches but also for great treks up the country’s colourful hills, expansive rice paddies to marvel at, underground river tours to explore and a hundred reasons more! One of the country’s main attractions, diving with whale sharks, allows visitors a once-in-a-lifetime opportunity of getting up close to a gentle giant in their natural environment from December to May. What more reason would you need to book your flight to this beautiful country? 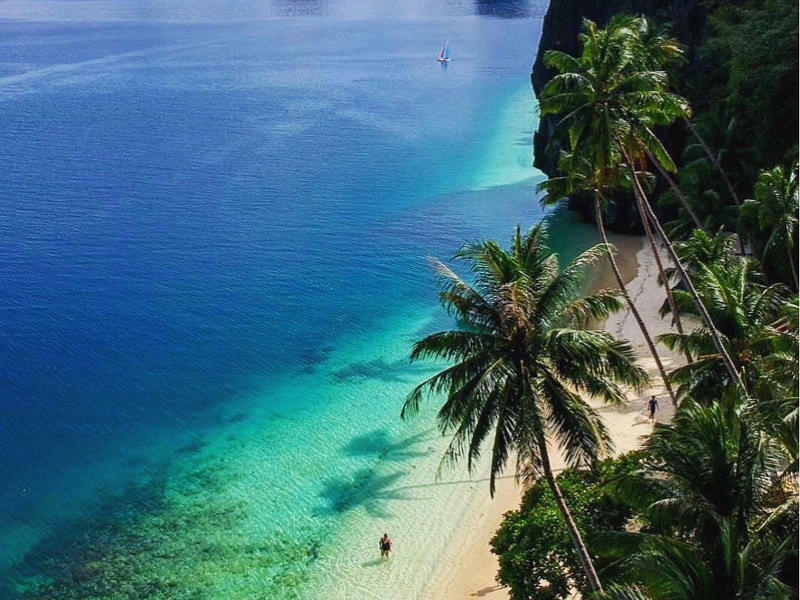 The best time to visit the Philippines is between the months of November and April which are the summer months in this Southeast Asian country. The wet season is from June to October and brings about quite a bit of rain with warm temperatures. The Philippines, with its more than 7,000 islands to explore, experiences only two main seasons: wet and dry. The wet season starts in June and continues until to October and travel is still recommended if you don’t mind your hot days sprinkled with some rain. 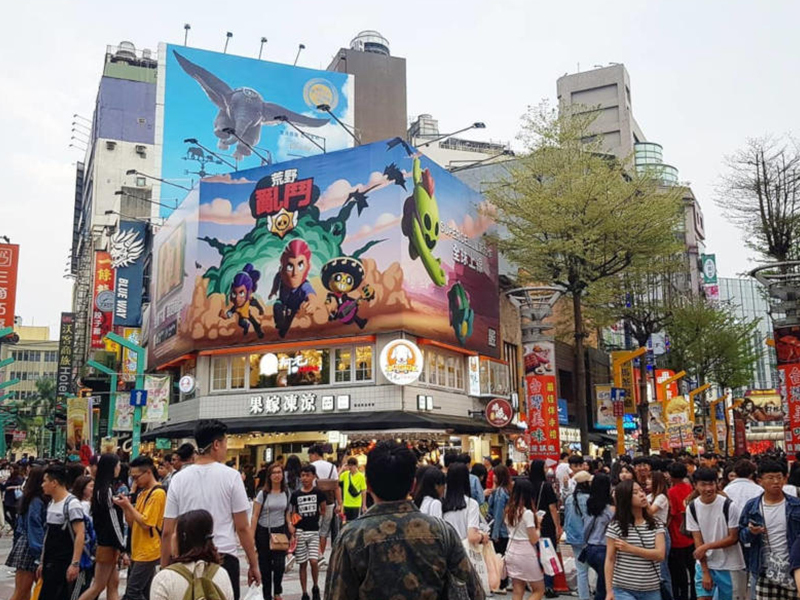 Typhoon season, however, generally starts in September and lasts until October, so you may want to avoid travelling during this time. 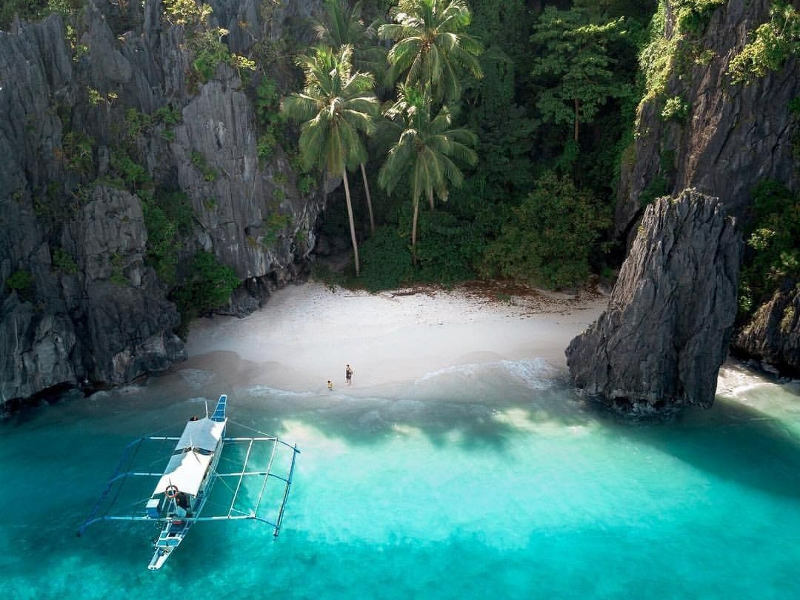 The dry season, from December to May, is a very popular time to visit the Philippines and with blue skies and perfect beach conditions, its hard not to see why! The hottest months are April and May, and during this time you will experience daytime highs of around 34°C – perfect for days spent at El Nido Beach or a hike up Mount Batulao, but make sure to pack in plenty of sunscreen! The Philippines has a tropical climate with warm temperatures all year. With that in mind, packing for your trip to this phenomenal archipelago is easy-peasy as you won’t need much, just a few basics to get you going in the mornings and ready for your day ahead. The dry season is a popular time for tourists with the long, sunny days to blame! The sun rises just after 05:00, giving early birds the chance to set off on their day trips with plenty of daylight hours to spare. Visitors can enjoy 13 hours of daytime bliss during this time, peaking between December and January. There is only about an hour and a half difference from the daylight hours in the wet and dry seasons so you’ll still get plenty of daylight hours to enjoy throughout the slightly wetter months of June to October. Water temperatures throughout the majority of the Philippine region is a blissful average of between 26 – 28°C during the dry season and just a tad bit cooler in the wet season, around 24 – 26 °C. Perfect temperatures yearlong for snorkelling, scuba diving and little dips in the ocean while working on your tan! The best months to go diving in the Philippines fall in the dry season, between the months of November to May. How much are flights to the Philippines? 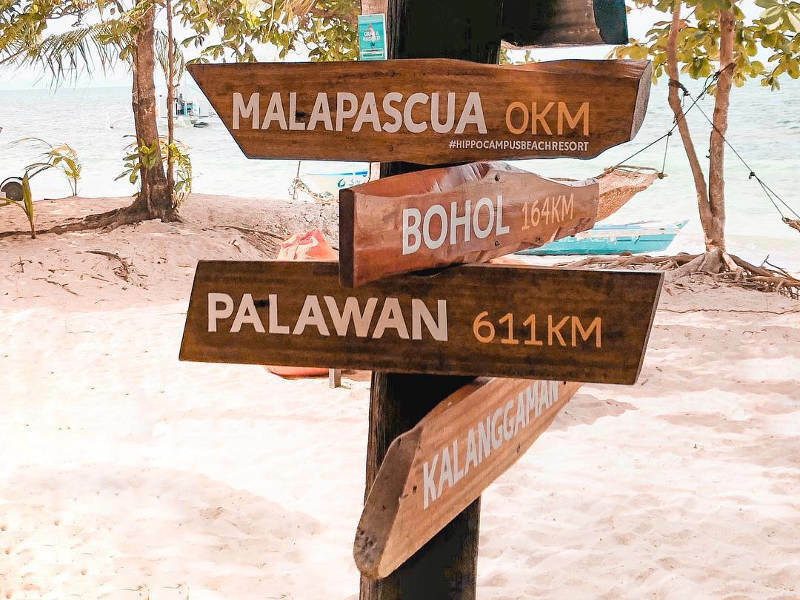 The Philippines has become an increasingly popular holiday destination as it is known for its great weather, island life and most importantly, affordability. The high season to visit this beautiful destination starts in December and continues to the end of April. You can expect to pay between 5 -10% more tfor flights and accomodation than during the low season. 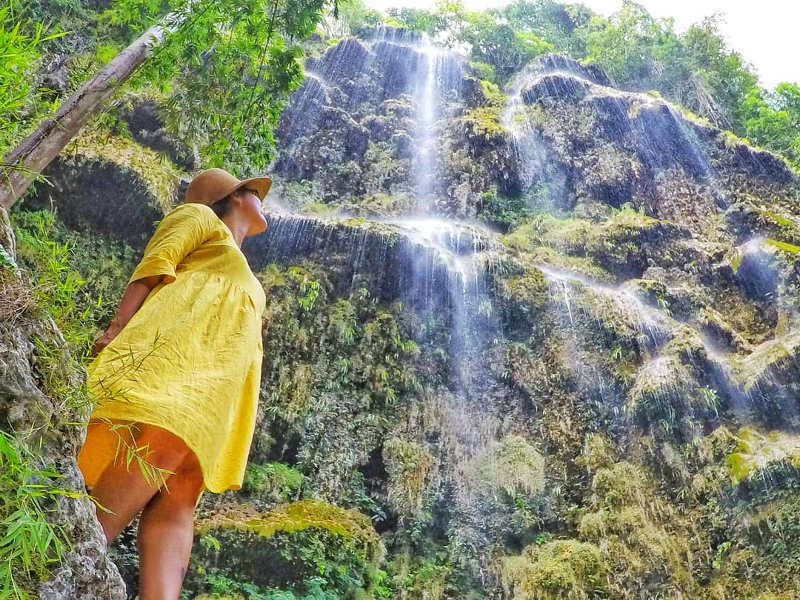 Due to the wet season, the Philippines becomes an even more affordable destination between the months of May and October. 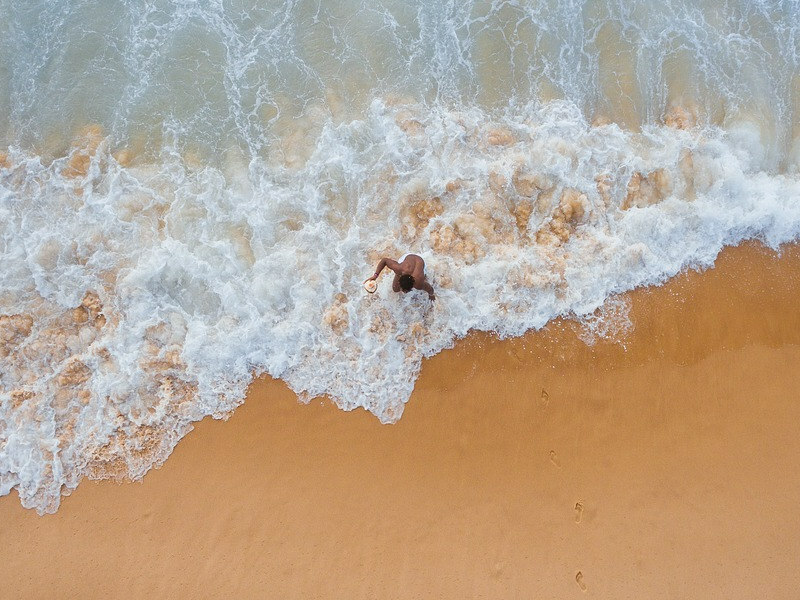 Of course, it might not be in your best interest to visit during the monsoon period (July to September) but the months of May, June, and October are more likely to see quick, daily showers rather than extensive downpours. Flights during the low season are only slightly cheaper (up to 10%) than during high season as the Philippines is popular all year. It’s best to book your flights at least three months in advance to take advantage of cheaper flight deals that are available. See all our current international flight specials and get booking today! If there’s one thing that the Filipinos know how to do then it’s how to celebrate life! The vast amount of festivities held in the Philippines are a testament to how much fun you can have in this beautiful country at any given time. The people enjoy showcasing their native culture in the form of dancing, singing and street parades, and you can also indulge in the local cuisine at a number of activities too. 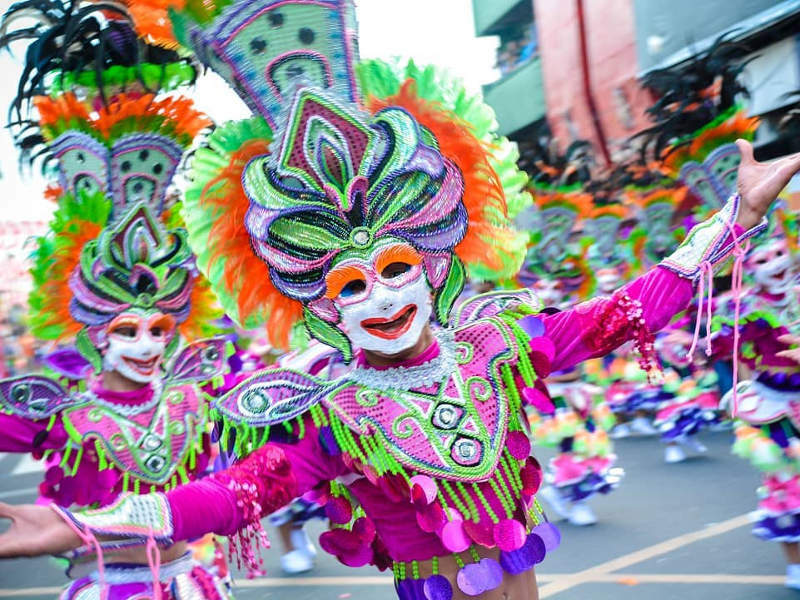 Different regions of the archipelago celebrate various events throughout the year, so depending on what you’re most keen to see, book your trip to visit the Philippines to coincide with some of these annual events. 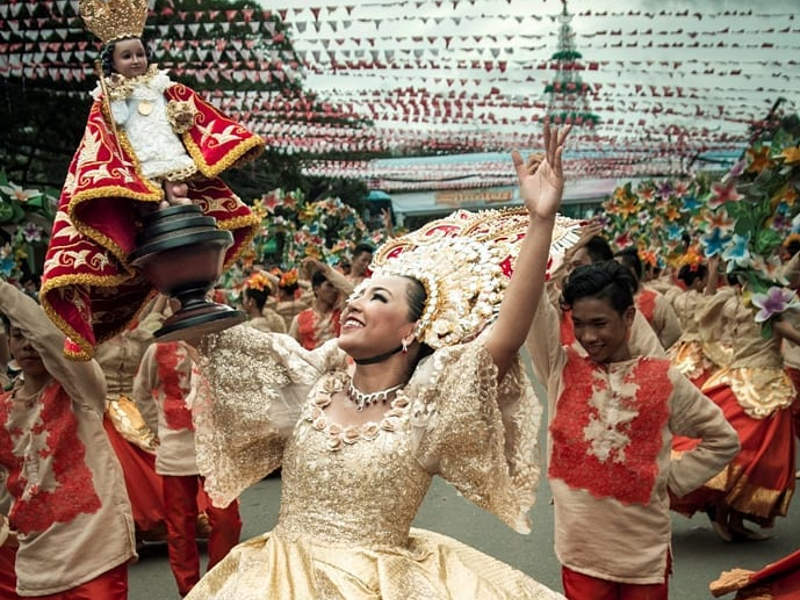 Known as the biggest and most opulent of all the festivals in the Philippines, the Ati-Atihan festival celebrates Santo Nino, a holy representation of the Catholic church. Visitors can expect only the best and most wonderful of floats during street parades, food and dancing to tribal music. Painted bodies, extravagant tribal costumes and loads of dancing and festivities are the order of the day! A beautiful blend of religion and culture come together in this annual festival. This event brings about thousands and thousands of visitors every year as the amount of splendour, colour, and vibrancy is captivating. The festival celebrates the pagan past of the country, as well as the introduction of Christianity to the region. Let’s celebrate the season of flowers! What better way to celebrate this blooming occasion than with colourful street parades, dancing and an overall few days of joyous entertainment! Officially, the festival is held to mark the beginning of flower season but it also plays tribute to all of those lost during the 1999 earthquake that hit the Luzon region, bringing a sense of new beginnings to those families affected. This particular festival celebrates the harvest from the Earth and all across Lucban, houses are decorated in not only bright colours, but are also adorned in vegetables! If you’re attending, bring your basket as participants are encouraged to pick some of the bounty from the decorated houses – adding to the sense of appreciation for what the Earth provides. Pahiyas is one of the most celebrated festivals in the region and the sheer display of colour and bites to eat will get any festival-lover excited. Join in the fun at this festival of smiles held in Bacolod – the City of Smiles. This annual event was originally held to lift the spirits of the locals during a, particularly tough harvest. These days, you will find smiling masked faces during the festivities and be invited to join in on all of the dance, music and excitement that you’ll find on display! Visitors to the city are in for a real treat as the city comes alight with colourful, giant lanterns that brighten up the streets in all directions! The festival starts the week before Christmas and because of the excitement that it brings, the city of San Fernando is referred to as the Christmas Capital of the Philippines. For the festival, the extravagant lanterns are displayed across the city and are lit with LED lights to add to the flair. Need more reasons to visit the Philippines? 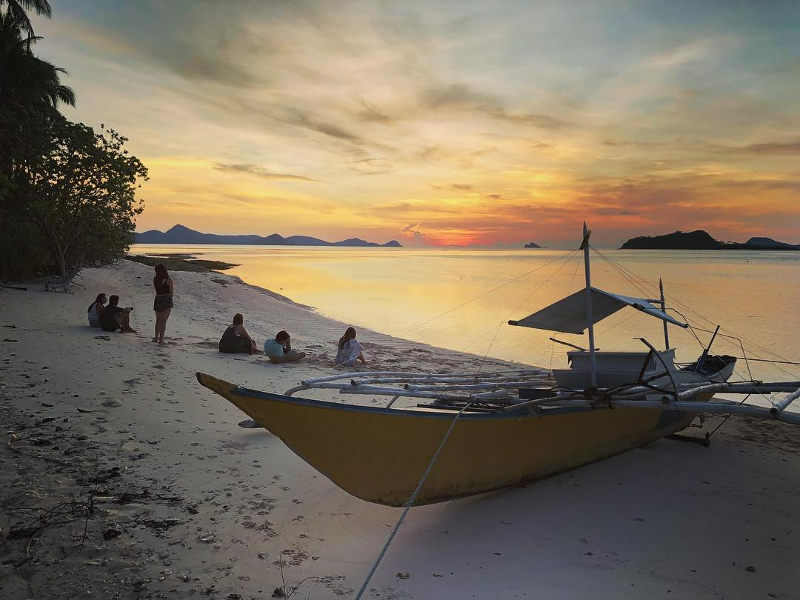 Check out our blog on why Palawan in the Philippines should be your next vacation destination and get those flight tickets booked! 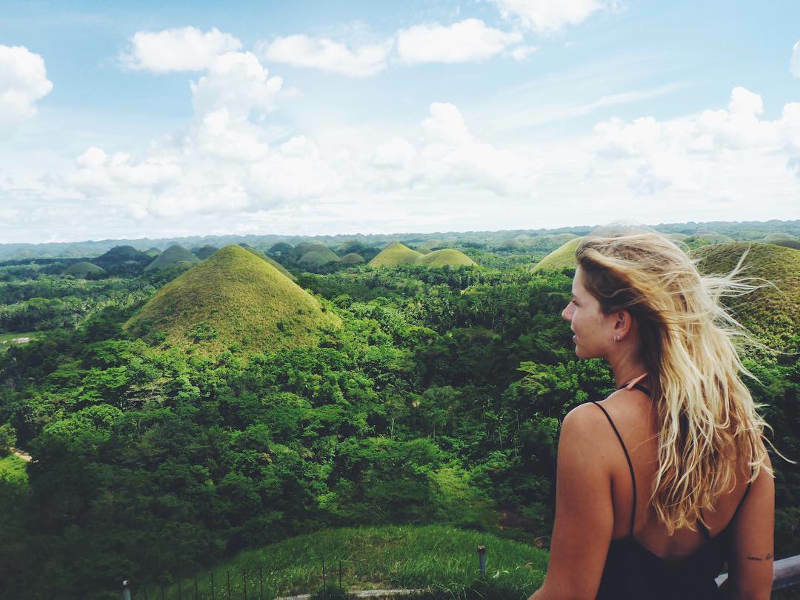 Book your cheap flights to the Philippines with Travelstart to start your travel adventure! Interested in more amazing flight deals and insight into these international locations? Do yourself a favour and sign up for the Travelstart newsletter for the latest travel news and flight specials first!